We're pleased to introduce you to handsome Ranger! He is about 4 years old and weighs 11 pounds. Ranger was found as a stray and no one ever came for him. But we know his new furever family is out there. 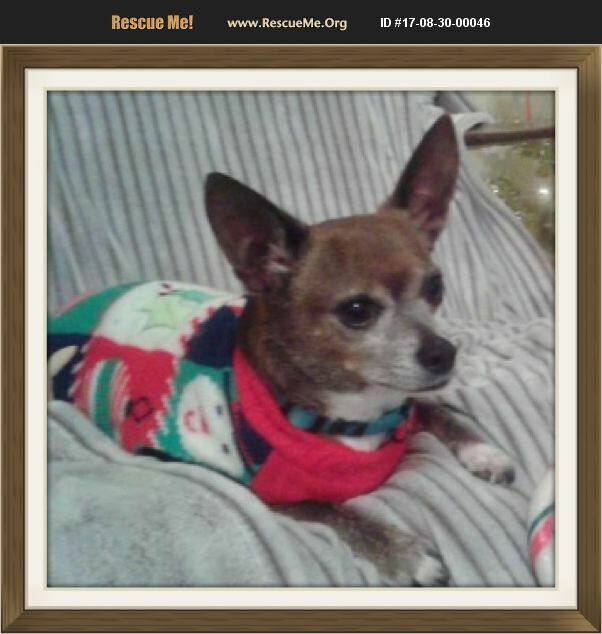 Ranger is a playful, animated, sweet little boy who brings his foster mom much joy. Ranger is housebroken, and he's even microchipped. Ranger is fine with older children, but would not be suitable for young children, as their fast movements make him nervous. Ranger enjoys playing with his foster siblings, but will also get a toy and play by himself or with his loving foster mom. Ranger is definitely a lap dog, and will lean in to give hugs when you are cuddling him. He also enjoys car rides, and walks very well on a leash. Ranger is not bothered by cats; he pretty much ignores them. Ranger is one of the sweetest dogs you could ever meet. He is currently undergoing treatment as he came back positive for heartworms. Our rescue will pay for his medication until his test comes back as negative. His new family must agree to continue his treatment. All he needs now is for you to come and take him home!